IMPORTANT: These Spindles DO NOT Fit 1988 - 1991 Models with Std (Regular) Cab. See the link at the bottom of the page if you need spindles for this application. Kit includes a pair of 2" drop / lowering spindles / knuckles. 1983 - 2015 Ford Ranger. 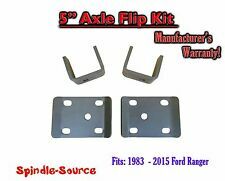 1 Axle Flip Kit Set (5" Rear Drop). This kit allows for Lowering the Rear of your truck by 5". Adjustable drop shackles will lower your truck 1" or 2". Adjustable 1"-2" Lowering Shackles Vehicles 1988-2018 Chevy C1500 Silverado. 2007-2018 Chevy Silverado 1/2 Ton. 2007-2018 GMC Sierra 1/2 Ton. All shackles are powder coated and feature OEM style bushings. Our hanger kits are constructed from heavy gauge die stamped P & O steel to insure a perfect fit and superior quality. 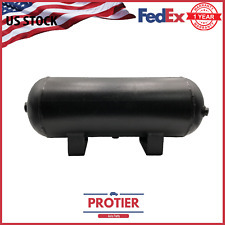 3 Gallon Air Tank Suspension 5 Ports Train Horn FBSS for Compressor Protier Protier Industries LLC: Our mission is to bring excellence to the automotive world. Go pro with Protier. In order to ensure that you get what you want, the Protier family has created such a team where we cater to each and every one of your technical needs. 1999-2006 Chevy/GMC C-1500,Silverado,Sierra Pickup 1/2 ton. Other Belltech Factory Rebate! Helpful Links. We do our best to reply within the hour. Universal Rear Weld-On Triangulated 4 Link Suspension Kit. with Two 2500 Air Bags & Rear Air Bag Mounts. 4 x Steel, Weld-On Center Link Axle Mounts. 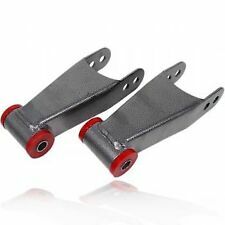 2 x Steel, Weld-On Lower Axle Tube Mounts. 2x Standard 2500 Single 1/2"npt Port Air Bags. 2" Front 4" Rear Leveling Drop / Lowering Kit Fits 1999-2006 Chevy Silverado GMC Sierra 1500 V8 2WD Extended Cab 2WD V8 6' BED ONLY. WILL NOT FIT CREW CABS OR 8' LONG BED TRUCKS. 2WD V8 6' Bed, Extended Cabs. Touring Tech towing assist kit includes (2) 2500lb air springs with brackets, corrosion proof push to connect fittings, hardware, ¼” DOT approved air line and Schrader fill/release valve. Touring Tech. Adjustable shackles will allow you to customize the drop to your desired height from 1" to 2". 1 Pair Shackles. Chevrolet Silverado / GMC Sierra 1500 1999, 2000, 2001, 2002, 2003, 2004, 2005, 2006. Thickness：5 mm. Each Compressor Specifications 9-1/2" Long. 1"-2" Adjustable Drop Shackles Lowering Leveling Kit fit 99-07 Chevrolet Silverado GMC Sierra. This pair Adjustable Drop Shackles was made of Heavy Duty Steel, it wil fit 99-07 Chevrolet Silverado GMC Sierra. Air Lift Performance Part # 21703. Manual Paddle Valve Switch. Air Ride Suspension Switch. Each Switch Has Two 1/4" Barbed Fittings. Adjustable drop shackles will lower your truck 2" or 3" depending on the bolt hole you install them on. This kit contains 2 shackles,one for each side of your truck. 2" OR 3" Adjustable LOWERING DROP rear shackles. FORGEDTorsion Lowering DROP Keys. 1999 - 2006 GMC Sierra 1500. 1999 - 2006 Chevrolet Silverado 1500. 2000 - 2006 Chevrolet Suburban 1500. 2000 - 2006 Chevrolet Avalanche 1500. 1988 - 1999 GMC K1500. 1995 - 2006 GMC Yukon. 1988-1998 for Chevy for GMC C-1500,Silverado,Sierra Pickup 1/2 ton. Based on the manufacturers' opinion, we will be afforded reasonable opportunity and facilities to investigate any claims made under the Warranty. One - Pewter AM400 Compressor. 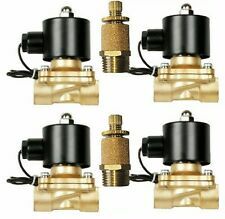 Air Compressor Includes Unless specifically noted, no implication is made that these parts are the original car manufacturers', are from the original suppliers, or are approved by them. 1973-1987 GMC Chevy C10. These are Black 3" lowering springs. Drop Length Rear 3" to 5". Application for 7x24 hours, always here for you. Will this fit my car?. Important notice. Two - AirMaxed 480 Air Compressors. Two - 1/4"NPT Check Valves. Fits 1999-2006 Chevrolet Silverado or GMC Sierra 1500 and 2500 NON HD. Pre-welded on the cross tube are the left side inside mount plate, the right side upper shock mount, the fuel tank strap hanger bracket, and the fuel tank support mount bracket with new bolt included. VXD2500DP Suspension Air Spring Dual PK. ½" NPT Single Air Port. These air springs feature an extra large ½" NPT port for installation. Be sure to use ½" air line for maximum performance. ½" NPT Air Port. Factory Direct! 3" Drop Spindle Set!!! 1973 - 1987 Chevrolet C-10. All must have 1.25" Rotors AND be 2WD. 1973 - 1986 Chevrolet C-10 Suburban. 1987 Chevrolet R10. 1987 - 1988 Chevrolet R10 Suburban. 1998-Older Import Mini Trucks With Axle Above Leaf Spring. 2 - Extruded Aluminum Blocks with 3 Degree Pinion Angle Correction. WILL NOT FIT ON VEHICLES WITH AXLE BELOW LEAF SPRING. Using these blocks will not change the load carrying capacity of your truck. 1960-1972 CHEVY / GMC PICK UP TRUCK 1/2 TON 2WD. LOWERING SPRINGSIN. REAR 5" DROP. Universal Rear Weld-On Parallel 4 Link Suspension Kit. Four - Right Hand Threaded 3/4" Threaded Forged Rod Ends W/ Urethane Bushings. Four - Left Hand Threaded 3/4" Threaded Forged Rod Ends W/ Urethane Bushings. 4" Rear Drop / Lowering Kit Leaf Spring Hangers Fits 1988-1998 Chevy Silverado GMC Sierra C1500 2WD. Rear 2" Drop Shackles. Kit Information Suspension Specialists mission is to produce & provide the highest quality product at competitive prices! 2004-2017 Ford Truck and suv shock absorber extenders. Extends the mounting position 2 Inches when lowering your truck. Save money. Eliminates the need to replace original shocks. Installs in minutes at lower mounting points. Box says up to 2014 because that is when the boxes were made. This does not lower or lift your vehicle. No returns. Zero. I am not Walmart. 2015 Up Tahoe / Yukon / Escalade. 2015 Up Suburban / Escalade EXT / Yukon XL. This Kit Includes a pair of 2" Rear Lowering Springs, Great to Level the front of your SUV with the rear, Also included is a set of rear shock extenders to maintain factory travel in your shock so that they do not need to be replaced! Crown Suspension Adjustable drop shackles will lower your truck 2" or 3" depending on the bolt hole you install them on. This kit contains 2 shackle one for each side of your truck. This is the easiest way to take the rake out of you truck and level the rear with the front. Two Air Lift Air Bags D2500 Dominator 58343. you can't go wrong with the new Dominator D2500. 1/2"NPT Single Port Suspension Airbags. This Bad Boy Will Give You The Performance You Crave. With a Softer and Smoother Ride and Most Amount of Lift. These spindles will lower the front of your vehicle by 2". It is the easiest way to achieve a 2" drop on the S10 / S15 and provides the best ride. THESE SPINDLES ARE FOR 2WD ONLY! THEY WILL NOTFIT 4WD MODELS. 2002 - 2008 Dodge Ram 1500 2" Drop Lowering Shackles 2WD / 4x4 NO SQUEAK! 1 Set of 2" Drop Shackles. Shackles have RB-Style (Rubber Encased) Bushings. These bushing DO NOT Squeak and DO NOT Require Greasing! Need these shackles with NEW GRADE 8 Hardware???. 2002 - 2008 Dodge Ram 1500 2WD / 4WD. 5 out of 5 stars - 2002 - 2008 Dodge Ram 1500 2" Drop Lowering Shackles 2WD / 4x4 NO SQUEAK! 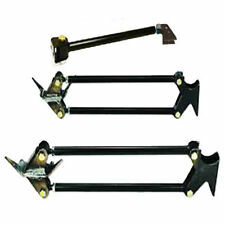 1 product rating1 product ratings - 2002 - 2008 Dodge Ram 1500 2" Drop Lowering Shackles 2WD / 4x4 NO SQUEAK! Crown Suspension Adjustable drop shackles will lower your truck 1" or 2" depending on the bolt hole you install them on. This is the easiest way to take the rake out of you truck and level the rear with the front. 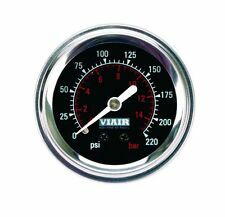 Service Temperature Range:-85°F (-65°C) to 200°F ( 93°C). Heat, light and UV stabilized. 2" Drop / Lowering Kit Leaf Spring Hangers Fits 1988-1998 Chevy Silverado GMC Sierra C1500 2WD. Rear 2" Leaf Spring Hangers. Kit Information Suspension Specialists mission is to produce & provide the highest quality product at competitive prices! 4 Heavy Duty Standard 2600lb. 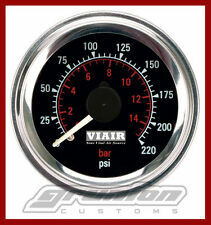 Air Bags 1/2"npt Port fbss 583 AS-7903. WARRANTY DOES NOT APPLY TO INTERNATIONAL ORDERS. In order to ensure that you get what you want, the Protier family has created such a team where we cater to each and every one of your technical needs. 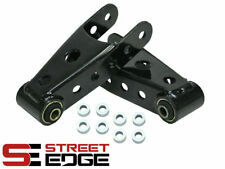 Rear Axle Lowering for Chevy GMC 1500 Pickup 1999-06 C-Notch Section Suspension. 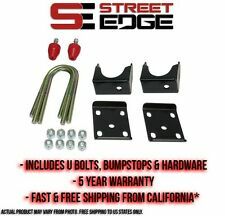 for GMC Sierra 1500 Pickup 1999-2006. all necessary hardware kit. Application for for Chevrolet Silverado 1500 Pickup 1999-2006. Unless specifically noted, no implication is made that these parts are the original car manufacturers', are from the original suppliers, or are approved by them. Anything sent C.O.D. or without a RA# will be refused. 5 GALLON ALUMINUM AIR TANK 8 PORTS SILVER. This tank is made from aluminum, so it will outlast the rest of your ride! A total of 8 ports (4 1/2" on one side, 1 3/8" and two 1/4" on one end, and of course a 1/4" drain port!). Lowering Shackles 2" drop. will fit 2wd or 4wd (will not fit 2500/3500). Tested on German Freeways !! !